There's no better time to find a new antivirus solution for your home computer because AV-TEST has just published a new series of tests revealing the best security products for Windows 8.1 home users. Basically, AV-TEST conducted an in-depth research on the majority of antivirus apps on the market right now and found out that, for Windows 8.1, Bitdefender Internet Security 2015, Kaspersky Internet Security 2015, and Qihoo 360 Antivirus 5.0 are currently the best options out there. All these three security products scored maximum points in protection, performance, and usability tests, getting 6 out of 6 points for each of these. 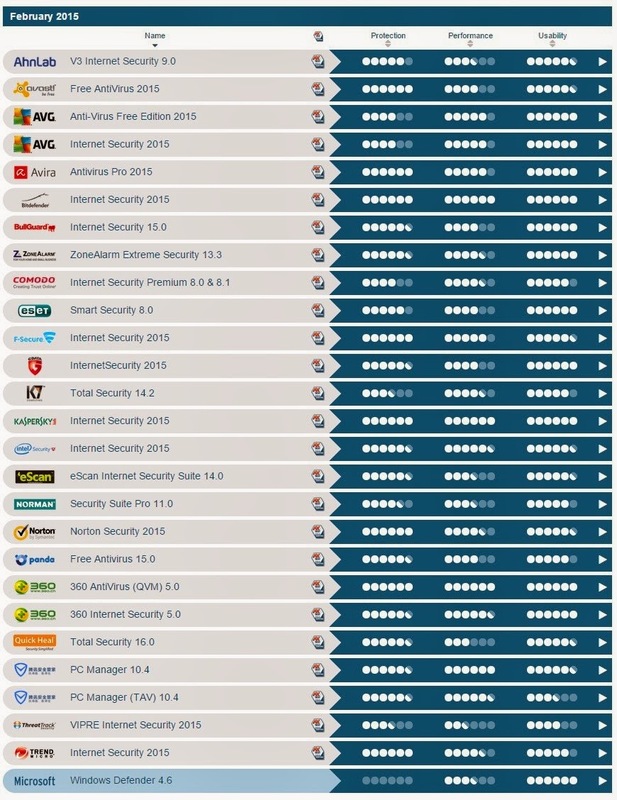 Obviously, it's not surprising to see Bitdefender and Kaspersky leading the pack, as both have been the most powerful antivirus solutions on the market for many years now, but the ascension of Chinese security software developer Qihoo is definitely one of the unexpected things for the February 2015 tests. According to AV-TEST, Qihoo's 360 Antivirus blocked 100 percent of 0-day malware and detected absolutely all widespread and prevalent malware discovered in the last 4 weeks. What's more, the Chinese security products offered 0 false warnings when visiting websites, actions performed on a PC, or regarding legitimate software. If you are one of the many users who do not turn to third-party security software because they still trust Windows Defender, then it's worth noting that AV-TEST offered 0 out of a maximum 6 points for protection in Microsoft's case. WD also received 3.5 points for performance and 6 for usability. As far as free anti-virus solutions are concerned, AVG Anti-Virus Free Edition 2015 scored very well, with 4 points for protection, 5 points for performance, and 6 points for usability. Avast is also among the best choices with 6 points for protection, 4 for performance, and 5.5 for usability.